Hearing is central to this story. "And Moses took the Book of the Covenant and read it in the ears of the people. And the people said: 'All that the Lord said we will do and we will listen.'" (Shmot 24:7) Although seeing does play a part in the assembly at Sinai (each Jew saw "The Whole Picture"), the stress is on hearing, both here and in parshat Yitro (Shmot 18:1; 19:19; 20:16). 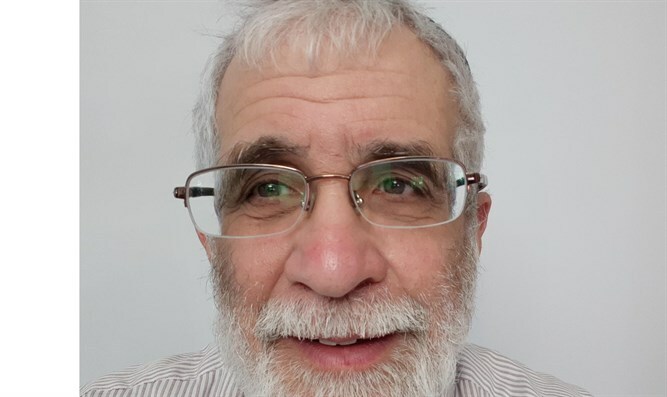 The rabbis (chazal) connect Maamad Har Sinai to the creation of the world in many ways. "Babylonian Talmudic proofs often are introduced with the words, 'Come hear' (Ta shma). Logic based on the sense of hearing, rather than seeing, is what characterizes Jewish teaching. The word 'theory' derives from the Greek word 'theatria,' connoting what can be seen, visualized, beheld. But the Hebrew way of apprehending truth is based on the acoustical sense, hence: 'Hear, O' Israel, God is our God, God is One' (the famous Shma Yisrael, recited three times daily and on a Jew's deathbed). The very name Semite, in Hebrew, is Shemi, which is from the same linguistic root as shma, hearing. The non-Jewish, Western way of perceiving truth is what can be conceptualized, seen - either in the mind or in a bodily sense. To the Jew, identification of truth with what can be seen is the beginning of idolatry." Rabbi Avigdor Neventzal relates the hearing of Yitro (Shmot 18:1) to common human logic (Sichot LiShmot, pages 176-178). Yitro, the classic "seeker " of spiritual truth, examined all the world's religions by the test of cold human logic and found all wanting, except the faith of Abraham, Isaac and Jacob. Even the miracles of the Exodus did not fly totally in the face of normal logic (and so we see "scientific explanations" of the Ten Plagues). But it is the sense of hearing that takes precedence in the convocation (maamad) at Sinai, from the thunder (and lightning) and the "voice of the Shofar" (Shmot 18:15), up to the voice of the Almighty Himself. Hearing is central to this story. The rabbis (chazal) connect Maamad Har Sinai to the creation of the world in many ways. Chief among them is that at Sinai we received Ten Commandments and, correspondingly, Jewish tradition has it that the world was created by ten Divine utterances. Speech was thus the source of all life and existence; and the Sfat Emet (quoted in Rabbi Yosef Stern's Days of Awe, page 126) explains an idea of the Baal Shem Tov: the original Creation (Briya) was not only done via Divine Utterances, but the world continues to exist via these utterances. For example, the life-giving power (koach) of "Let there be a firmament (rakia)" (Breishit 1:6) is what sustains the heavens to this very day. The rakia still hears that very same Divine utterance and is thereby connected to the Source of all existence, and so continues to exist. The Sefat Emet explains that we blow the shofar on Rosh Hashanah, which is the birthday of the Universe, to recall the sounds that called the universe into being. The shofar blasts are to remind us of God's words, the words of Torah (which is the blueprint of Creation), with which He created the universe and with which He continues to sustain Creation. This idea of the Baal Shem Tov has been beautifully validated by modern physiology. In This is Your Brain on Music, author Daniel Levitin explains a fundamental difference between hearing and seeing. When one sees the color red, the brain interprets the pattern of light reflected by the object as red; but no part of the brain actually "turns red." Thus, if electrodes are hooked up to the brain, the electrode would not turn red. In fact, color is purely subjective: a room with red-colored walls is only red if someone is looking at the room. Unobserved, the room is truly not red. This idea of the Baal Shem Tov has been beautifully validated by modern physiology. This is the opposite of hearing. The auditory cortex of the brain has the mapping of a range of frequencies. Thus, if a person hears a tone of, for example, 440 Hz, there exist neurons in the auditory cortex that fire at 440 Hz. If an electrode were connected to that brain, then the electrode would vibrate at exactly 440 Hz. In short, we are wired for sound, our brains exactly mimicking the sound that we hear. And if those sounds are the words of God Almighty, we vibrate along in consonance with those Utterances. If the physicists are right and all matter is made of subatomic vibrating "strings," then the vibrations are being set in motion, and stay in motion (existence), by these words of God: "In the beginning, God created.... Let there be light.... I am the Lord your God, who brought you out of Egypt," etc. All Creation hears these Utterances, came into being and continues to exist. Man alone has an option: to either hearken to those sounds or to use his free will to "tune them out." But note that his brain is wired to accurately record and vibrate with those sounds; Man was hot-wired to listen to those Utterances. Man's natural, holy state is to adhere to: "Do not kill.... Do not commit sexual sin.... Do not steal.... Do not lie.... Keep the Sabbath.... Honor your Father and Mother.... Do not covet what belongs to your fellow human...."
Man can "do and listen," for, indeed, he was designed and built for this.